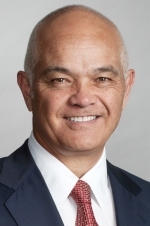 William Hatanaka was appointed to the Board on October 3, 2011 and serves as Chair of the Finance and Audit Committee and as a member of the Executive Committee. Prior to joining the board, Mr. Hatanaka co-chaired York University’s successful $207 Million Capital Campaign. In 2008, he was recognized with the Bryden Alumni Award for his dedication to the advancement of the University through exceptional service, commitment and contributions. Currently, Mr. Hatanaka is a Corporate Director, serving on the Board of ICE NGX Inc, and on the Advisory Board IRC of Invesco Canada. Mr. Hatanaka is the past President and CEO, OPSEU Pension Trust (OPTRUST), a defined benefit pension plan, jointly sponsored by the Government of Ontario and the Ontario Public Service Employees Union. He is former Group Head, Wealth Management, TD Bank Group, where he was a member of the senior executive team of the Bank with responsibility for building the Bank's global Wealth and Asset Management business. He was the inaugural Chair of the TD Bank's Diversity Leadership Council. Mr. Hatanaka has previously served on numerous public Boards including: TMX (Chair HRC, Derivatives), and TD Ameritrade (Risk Committee). He is the past Chair of the Investment Industry Association of Canada (IIAC) and a Co-Founder of Grief Reconciliation International. His community involvement has included work with Canadian Centre for Diversity, The United Way and the Japanese Canadian Cultural Centre. Prior to entering the financial services industry, Mr. Hatanaka played professional football in the Canadian Football League. He was a member of the 1976 Ottawa Rough Riders Grey Cup Championship Team.